Sergio Aguero’s hat-trick helped fire Manchester City back to the top of the Premier League as they thrashed Chelsea 6-0 at the Etihad. Pep Guardiola’s men were replaced in top spot by Liverpool after they beat Bournemouth on Saturday, but they were guaranteed to return to the summit thanks to a devastating opening 25 minutes in which they went 4-0 ahead. Raheem Sterling and an Aguero brace made it three inside 20 minutes, before Ilkay Gundogan fired in the fourth. 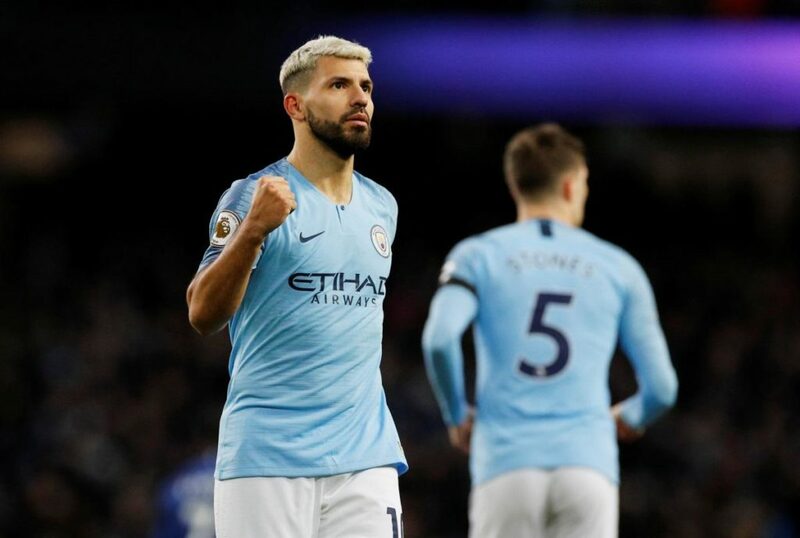 Aguero then scored his third midway through the second half to become City’s all-time leading league goalscorer on 160 goals, while he also equalled Alan Shearer’s Premier League record of scoring 11 hat-tricks. Sterling scored his second 10 minutes from time to seal a commanding win for City which moves them above Liverpool on goal difference with both sides locked on 65 points, while Chelsea remain fifth, 15 points behind the pair, after their heaviest Premier League defeat. Oleksandr Zinchenko was handed a start at left back in three changes for City as Kevin De Bruyne and Sterling also returned to the starting XI in place of David Silva and Leroy Sane. 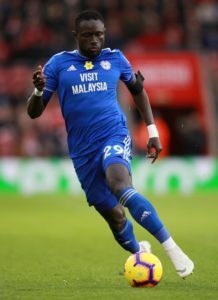 Chelsea boss Maurizio Sarri made two changes to his side as Antonio Rudiger and Pedro came in for Andreas Christensen and Willian. City made a dream start to the game when De Bruyne played a free-kick for Bernardo down the right of the area and his deflected low cross rolled through to Sterling on the left of the box and he hammered a rising strike into the net past Kepa Arrizabalaga. Aguero was then guilty of a glaring miss on eight minutes when Silva rolled his cross towards the back post from the left this time and the usually prolific Argentinian somehow put his effort wide from a couple of yards out. 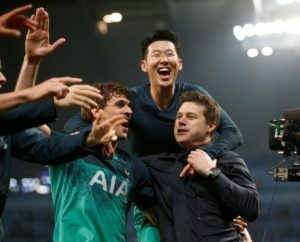 However, he made amends five minutes later with a stunning second for City as he picked up possession well outside the box and hammered an unstoppable effort into the top corner of Kepa’s net. It was effectively game over on 19 minutes when City made it 3-0 as Ross Barkley attempted to head the ball back to Kepa in the Chelsea goal but it fell short and dropped to Aguero, who turned and swept the ball into the net from close range. City continued pressing and they were 4-0 ahead in the 25th minute when David Luiz blocked Aguero’s path to goal and the ball rolled to Gundogan on the edge of the area and he curled a superb effort beyond the reach of Kepa and into the far corner of the net. Chelsea had a great chance to pull one back moments later but Pedro could only shoot straight at Ederson after being played through on goal by Gonzalo Higuain’s smart play. City just seemed to take their foot off the pedal having built up such a commanding lead and Higuain went close himself with a wonderful effort on 38 minutes which Ederson had to tip behind. Chelsea started the second half with some decent possession, but it was City who went closest to adding to their tally on 50 minutes when De Bruyne got to the byline and chipped a cross into the middle found Aguero, but his header crashed off the crossbar. Aguero was not to be denied his hat-trick though as City won a penalty when Sterling was sent tumbling in the area by Cesar Azpilicueta and the Argentine sent Kepa the wrong way from the spot on 56 minutes. De Bruyne then fizzed a free-kick at goal on the hour but Kepa managed to beat that away to safety. City definitely eased off as Aguero, Fernandinho and De Bruyne were all taken off, although Gabriel Jesus was played in by Sterling on 75 minutes only for Kepa to block his strike. Three minutes later, Emerson tried to grab a consolation goal for Chelsea but his free-kick from just outside the area was straight down the throat of Ederson. It was 6-0 on 80 minutes when Zinchenko collected a pass from David Silva before going on a strong run down the left and then delivering a lovely cross into the path of Sterling who prodded in his 12th goal of the season. 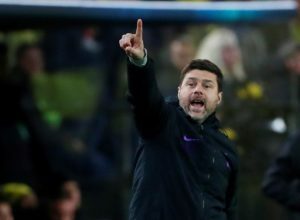 Pep Guardiola says he is proud of his Manchester City players and the fans despite suffering Champions League heartbreak against Tottenham. 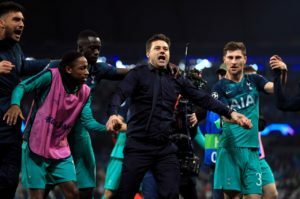 Mauricio Pochettino says Tottenham are capable of winning the Champions League after they booked a semi-final spot for the first time in their history. 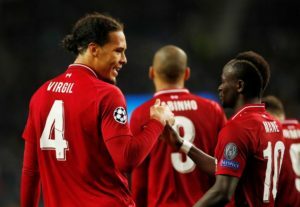 Liverpool secured a 4-1 win at Porto to wrap up a 6-1 aggregate victory with Sadio Mane and Mohamed Salah among the scorers. 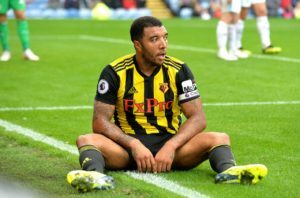 According to reports in England, Watford are looking to appeal Troy Deeney's red card from Monday's match with Arsenal. 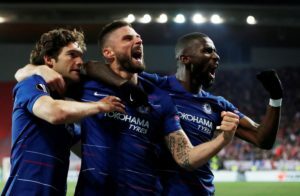 Chelsea striker Olivier Giroud has hinted that he may leave the club this summer after growing frustrated at Stamford Bridge. 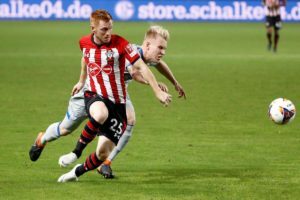 Blackburn Rovers midfielder Harrison Reed will return to parent club Southampton after suffering an ankle injury at Ewood Park. 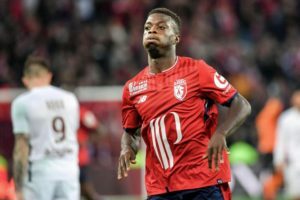 Wolves target Nicolas Pepe will leave Lille this summer but the Molineux club will still face a battle to snare the forward. 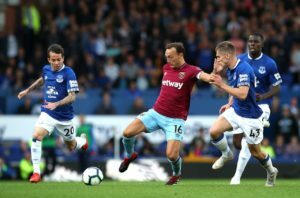 West Ham captain Mark Noble has urged his side to build on a positive performance at Manchester United by beating Leicester. 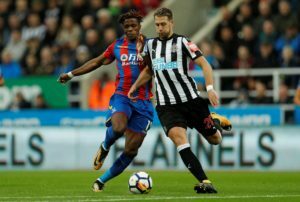 Newcastle defender Florian Lejeune has confirmed his operation has been a success after he went under the knife in Italy.